This might sound crazy, but there’s a sizable coalition of folks in the world who don’t stream all their video content from Netflix, Hulu, or YouTube. That’s right — some of us still have regular old video files sitting on our hard drives. Another thing that might sound crazy is that watching those videos can be just as enjoyable and straightforward as starting up your favorite film on HBO Go. 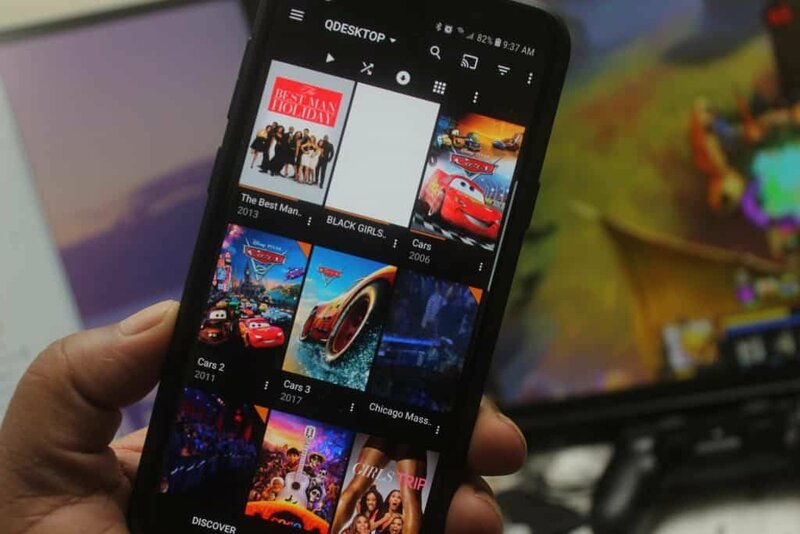 We mostly owe that to Plex, the personal streaming service that makes it easy to feed your media content to all of the devices in your home. You can’t stream to Plex apps without having a Plex server installed. Most of us will put it on our personal computers, but as we mentioned before there are some devices — such as network-attached storage drives (NAS) — which also offer Plex server functionality. For PC users, installation couldn’t be simpler. You download an executable file, install it, and you’re done. Well… that’s only the bare necessity. The most important part of the Plex setup is actually getting your files into the service. Importing your media library isn’t the most obvious process in the world, unfortunately. 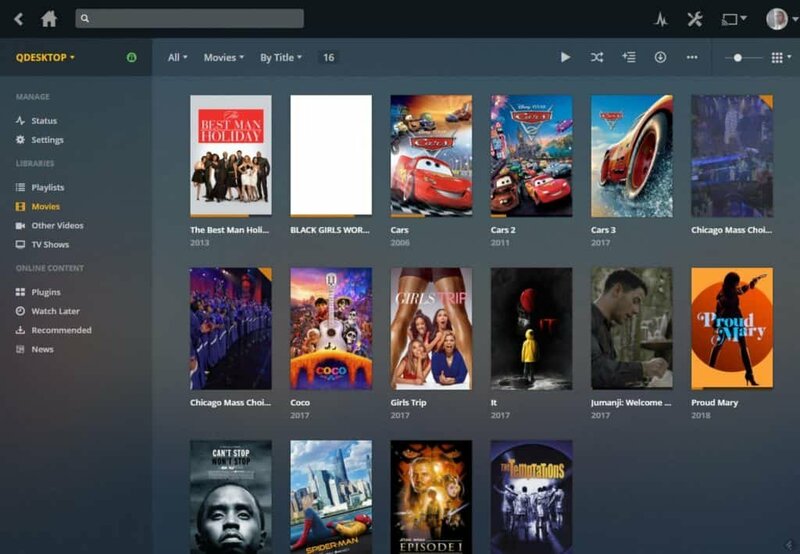 The new user experience is definitely an area where Plex could improve, but once you know what you’re looking for you’ll find that it does end up being quite intuitive. 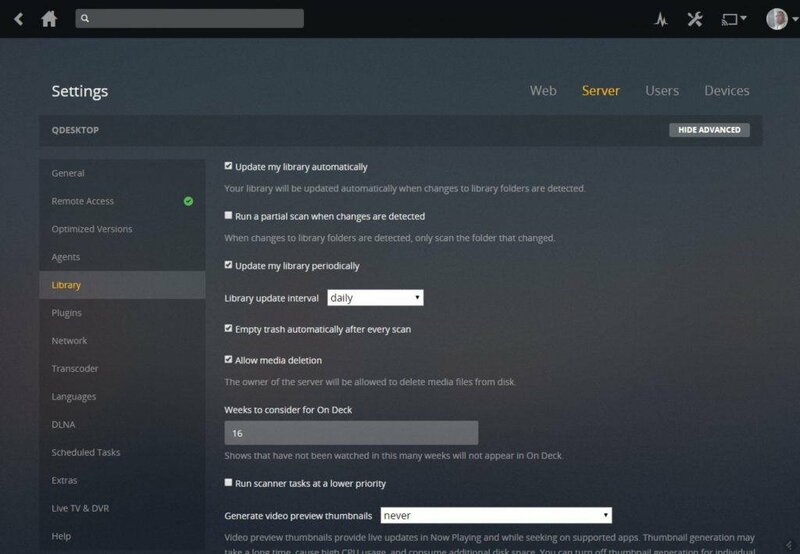 Essentially, all you’re doing is pointing Plex to folders on your PC that have the files you want to stream. If your movies are in your Videos > Movies folder, then you can point Plex to that exact directory and it’ll automatically pull all of your movies in. This is where another snag can sour the experience if you’re not careful. Plex can sometimes have issues recognizing video files when their names are overly long or have weird naming structures. In general, you want to keep your file names short and stay away from any extra characters like dots. Again, it’s something Plex doesn’t make an obvious note of. My general rule of thumb for naming movie files is “Name of Movie – Year”, and for TV shows it’s “Show Name – Season Number – Episode Number”. It improves our sanity because humans like structure. Plex will more than likely see the video file with no issues. It makes it easier for Plex to download metadata, which we’ll talk about later. For all intents and purposes, your Plex setup experience can end there. There are other library types you can add if you like, such as music, photos, and other videos, but it’s up to you to decide what you need. Do a bit of snooping around the settings and you’ll find a lot of other advanced options which we won’t cover in this review. They are mainly there to serve extremely advanced users, but if that’s not you then you can just leave them alone and still have a very capable Plex experience. 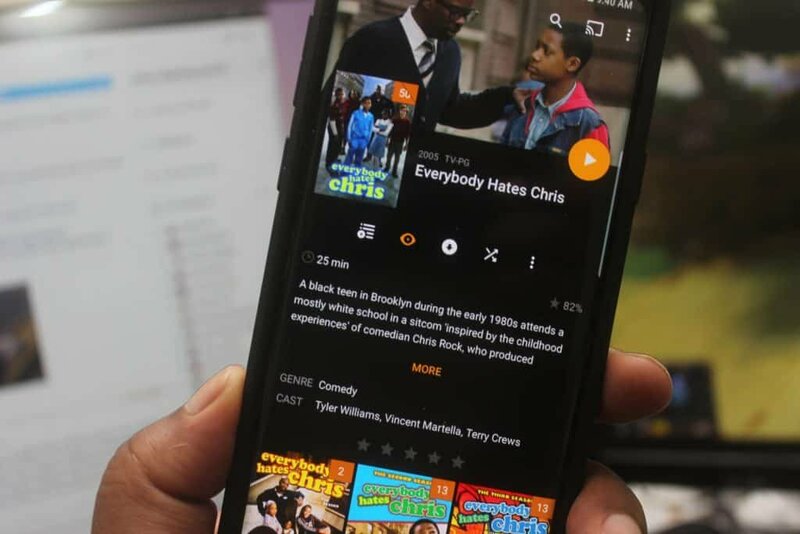 We do want to point out the ability to enable remote streaming within Plex, though, which will be a boon for Android users wanting to access their content on the go. The option is not enabled by default, but that’s simple to do and the freedom it allows you is worth the trouble of doing it. Once your content is uploaded, you’re in for a treat. 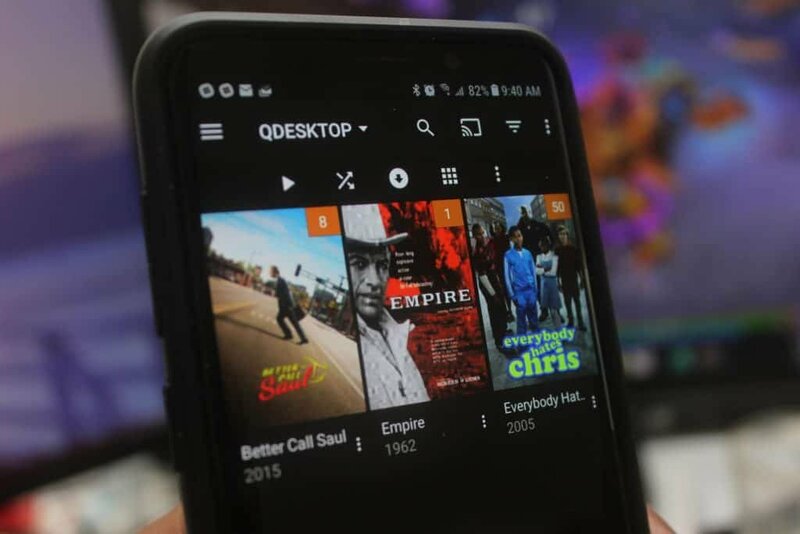 Plex is designed to automatically download metadata for your video files and music, if available. This is why naming your files appropriately is important — if it doesn’t know the name of the movie, it can’t add in the movie cover, the list of actors, the descriptions, and even the movie trailers that it normally would be able to. 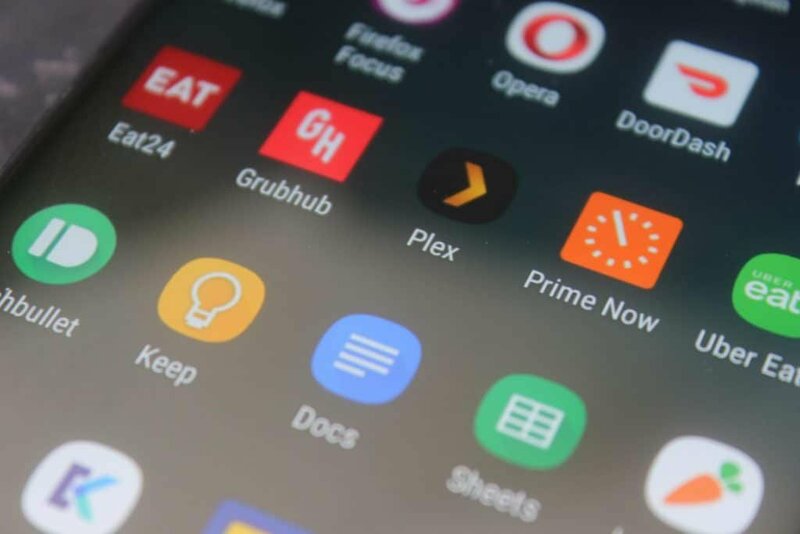 This is the key ingredient that keeps Plex a good step ahead of the competition. Instead of looking at a boring and daunting list of files, it looks like you’re looking at a Netflix library, only you’re the king of the content it has. Things aren’t always as clean as you may like. 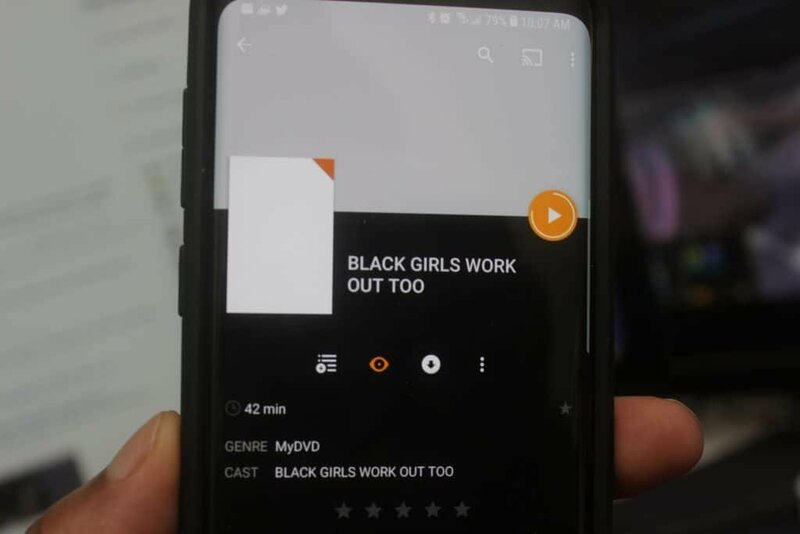 While Plex will try to pull a thumbnail out of a video file that it can’t find metadata for, it sometimes fails at this and instead presents it as a white or black box. This is mostly a concern with obscure videos (like the example above, which may sound suspect but it’s just an exercise video, honest!) that don’t have entries in the default content databases used by Plex. If you have a lot of those kinds of videos then it can really bring you down. Fortunately, it’ll still show the name of those files, and if it’s showing up in Plex then you are at least able to view them. If you’re really bothered then you can fix it up manually inside the Plex server app. Streaming to the app couldn’t be easier. Its layout can be described as a more compact version of the server app, which is a great thing. There’s one button to switch between your servers if you have multiples, and the hamburger menu makes it easy to jump between different categories of the app. 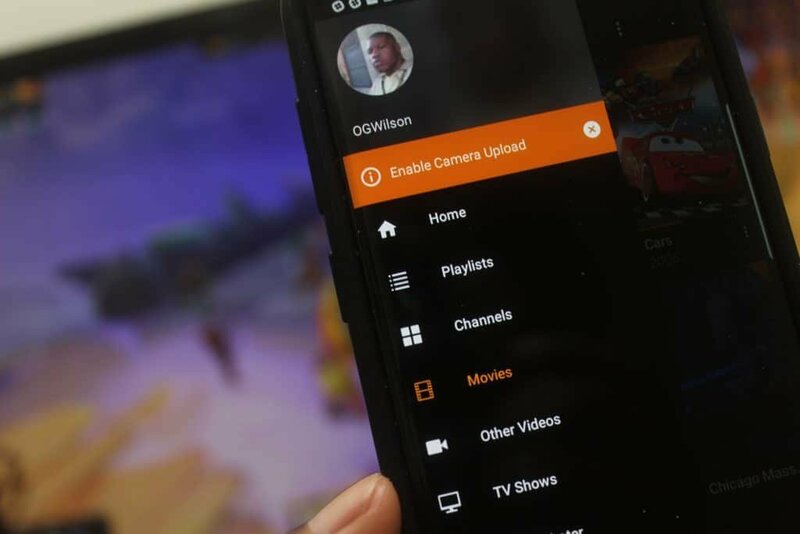 You’ll always start on the home screen which gives you an overview of content you’ve recently watched and added. The top carousel makes it easy to resume content, the “On Deck” section gives you suggestions of what to watch next (very useful for moving on to the next episode in a series), and “Recently Added” sections for movies and TV let you find your latest content. Once you’ve figured out what you want to check you can view the summary page where all the data you need is laid out in an easy to digest form. You’ll see art for the content, a quick description, a summary of ratings and reviews, as well as details like runtime, cast members, and directors. You can even view a trailer in case you want to see if a show is worth your time. Imagine my delight when the theme song to one of my favorite TV shows started playing as I was looking through episodes. It’s all a really nice touch by Plex. While other apps can do much of the same, it usually takes way too much elbow grease and “manual labor” to pull off. One other thing I want to highlight here is its syncing capability, which is bound to be an important feature for folks who frequently use it on mobile. With it, you can download your content for offline use. This is perfect if you’re away from your server or if you just don’t want to deal with the pitfalls of streaming over mobile data which can be notoriously unreliable. Let’s get down to the most important thing here: actually playing your content. This is an area where other media servers can falter, but Plex far exceeds our expectations. It goes back to that whole ubiquity thing, with Plex being able to handle almost any video file you throw at it (and if it can’t, it’ll transcode it for you on the fly). Server performance is very smooth on stable connections, with playback happening just a few seconds after hitting the button. I didn’t experience any extra buffering or hiccups even when streaming my 1080p content. I’m not sure if I would have struggled to stream in 4K, but I certainly have the bandwidth for it and I don’t think I would run into any issues there. I also didn’t have any weird problems like audio desynchronization or artifacting. It just worked and looked great. While my experience was good, things could prove different in other use case scenarios. 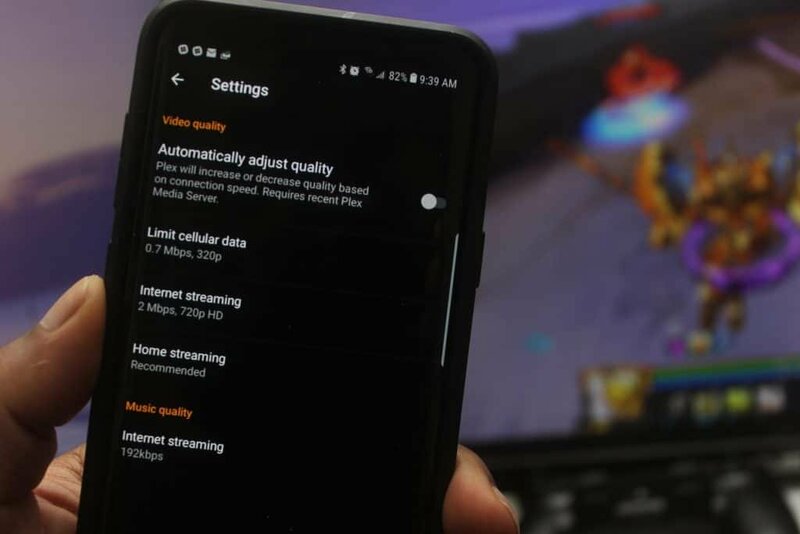 For instance, someone with a slower connection may experience buffering, and if your computer’s processor isn’t up to par then it could have trouble transcoding your videos fast enough for Plex to handle uninterrupted playback. This isn’t at all a knock on Plex, but instead an unfortunate reality of the technological cogs in play getting it all to work well. 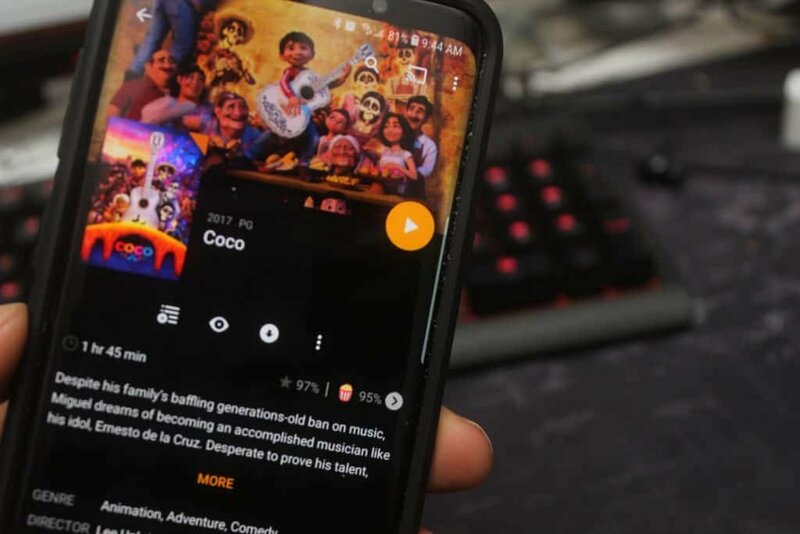 If you happen to be in that boat then you’ll be glad to know that Plex offers a wealth of playback quality options to help you find the best balance. For instance, while on a mobile connection I limited my playback to 720p, which is about 2 megabits per second. You can scale all the way down to 240p which streams at a rate of 0.3 megabits per second. This is also the feature you’ll want to use if you’re running low on limited data. 720p eats up about 1GB per 1.2 hours of streaming, while 240p lets you go much further on that 1GB with 7.5 hours of playback. While I could notice obvious differences in quality the lower I went, it was still a very watchable experience and I appreciated the ability to sacrifice some of that quality for smoother playback overall. 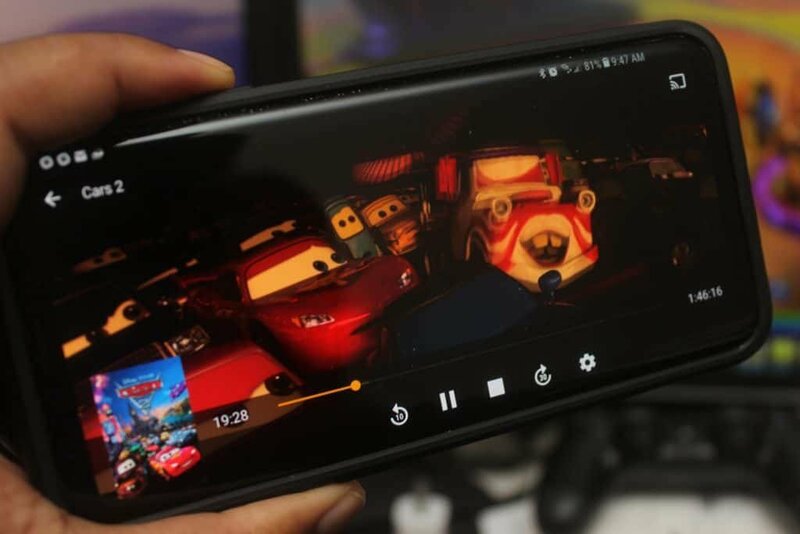 If you have multimedia on your computer that you want to play on other devices, there’s no better option than Plex. Its combination of ease of use, polish, and platform availability is simply unmatched. There are some downsides, though. As we mentioned before, the mobile apps require a Plex Pass subscription. At $5 per month all the way up to $119 for a lifetime account, it might price more casual users out. Is it worth the cost of admission? Well, that just comes down to how often you think you’ll be using the mobile app. If you plan to spend every waking moment under the sun with it, then yes it’s worth it. And even if you just have a temporary need for catching up on a long TV series then you can always go month-to-month at the non-committal $5 admission fee. Plex is very fair in their pricing for functionality and you’ll struggle to match it anywhere else. Another downside is that Plex could have a better setup wizard to help newcomers get up and running. (For what it’s worth, Plex offers excellent help in their knowledge database if you go looking for it.) For me, it’s not a pain point anywhere near damning enough to write Plex off as the cure-all for our personal multimedia needs. I think the thing I love most about Plex is that it’s a one-stop solution no matter who’s using it. Those without much technical savvy can manage their way to a functional library, while power users will find a smorgasbord of extra options to tweak the platform exactly to their liking. It’s a transcendent piece of software that probably deserves a permanent spot in your cord-cutting arsenal.